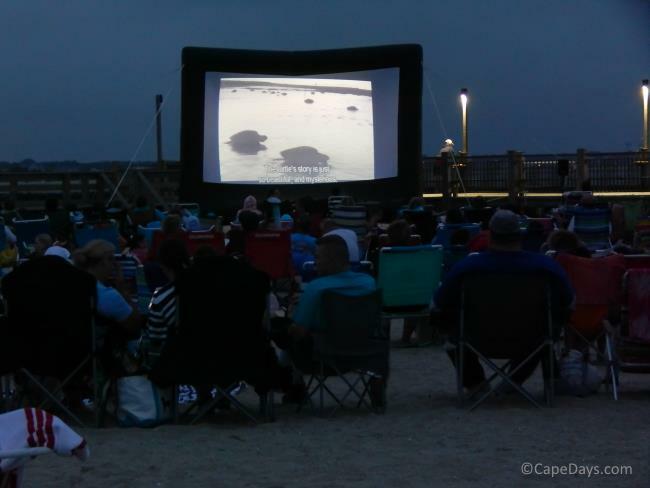 There are more than 20 campgrounds on Cape Cod, ranging from basic tent camping areas to full-service RV resorts. For the budget-conscious traveler, Cape Cod's campgrounds and RV parks offer a friendly, affordable place to stay in prime locations. Camping season generally runs from May to September or mid-October. Very few campgrounds open before May 1st, and most are closed by mid-October. Pet policies and rules about open fires vary, depending on the campground you choose. If pets and/or open fires are allowed, I'll let you know (below). That said, rules and policies do change from time to time. So if you're planning to have your four-legged friend travel with you, or if an evening campfire is important to you, please be sure to confirm all info directly with your camping area of choice before you make your reservation. Bourne Scenic Park boasts one of the most iconic locations on the Upper Cape, nestled along the banks of the Cape Cod Canal. Along with easy access to all the activities the Canal region offers, the park's amenities include two pools, Canal-side picnic area, gameroom, playground, lots of planned activities, and a really cool line-up of live entertainment. Note: Bourne Scenic Park is on the "mainland" side of the Canal. Bay View is a super-family friendy camping spot set up on a knoll near the Cape Cod Canal. This popular camping area has 3 pools, 2 playgrounds, acres of sports fields and courts, a rec hall, organized activities for all ages, and a special dog park for your canine buddy, too. Note: Bay View is also on the "mainland' side of the Canal. Looking for a pond-side place to stay? Dunroamin' offers a quiet, rural retreat on beautiful Peters Pond in Sandwich. Dunroamin' is not a hustle-bustle kinda place. Althought there are some planned activities, laid-back is the way to go - swimming, fishing, paddling or sailing on the crystal clear, 137 acre spring-fed pond. 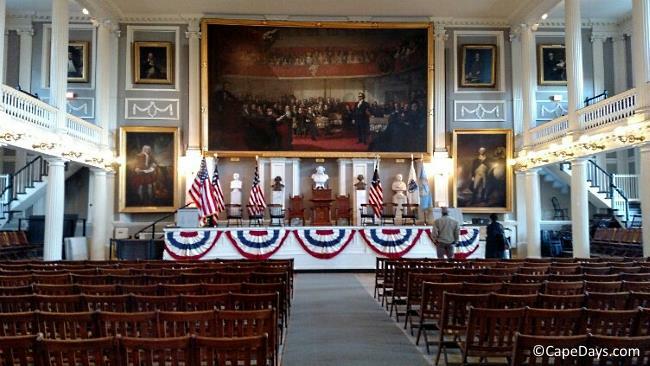 Sailboats, rowboats and paddleboats are provided for guests' use at no extra charge. Note: Cottage rentals available late June to early September, weekly only. If you're lucky enough to be able to spend the entire summer on Cape Cod, camping shoreside on the 138-acre Lawrence Pond is a great place to do it! Campers at Lawrence Pond Village have a choice of season-long campsite rentals (no tents), or housekeeping cabins that rent weekly. On 20 acres in the Mashpee Woods, John's Pond Campground has a private beach on a freshwater lake and hiking trails through the adjacent national wild life sanctuary. This is a smaller camping area, so be sure to reserve early to secure your spot for your preferred dates. I've just learned that Sippewissett Campground is under contract for sale and will not be open for business in 2019. What's next for this lovely 13-acre property? Glamping! This extremely popular campground has been awarded Woodall's "Diamond W" Award as well as Trailer Life's "Award of Excellence". Not a surprise when you see all it offers ... 3 in-ground pools, a private lake for swimming, boating and fishing, organized activities, a clubhouse with pool tables, games, and other entertainment, and much, much more. This quiet, family-run trailer park is in a great location, within walking and biking distance of area beaches, restaurants of all flavors, and lots of family friendly activities and attractions. Repeat visitors come back to Bass River Trailer Park year after year, so it's a good idea to call early if you'd like to reserve a spot for your next getaway. Campers Haven is one of few campgrounds on Cape Cod with its own private saltwater beach. Stay here and you'll have direct access to the warm, calm waters of Nantucket Sound for swimming, and a beach to lounge the day away. Other features at Campers Haven include a playground area for the kids, a basketball court, mini-golf and bocce, and a clubhouse with billiards table. 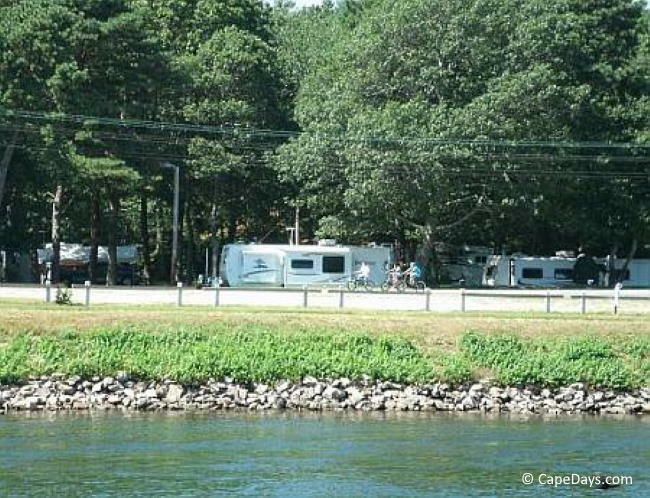 The Old Chatham RV Resort campgrounds are about as centrally located as you can get, set on 55 wooded acres midway between Nantucket Sound and Cape Cod Bay, and about halfway between Bourne and Provincetown. That makes it a great homebase for exploring. As a "home away from home", this RV resort offers adults and kids pools, a playground area, basketball and volleyball facilities, a gameroom, and a commercial grill for guests to use. Shady Knoll campgrounds offers a peaceful, family-oriented camping experience, in the lovely town of Brewster, near Bay-side beaches and several popular bike trails. Atlantic Oaks' pretty, wooded campsites are right at the gateway to the Cape Cod National Seashore area. The National Seashore Visitors Center is a half-mile away. Bay and Ocean beaches are nearby, as are hiking and bike trails, lighthouses, great restaurants and shopping. Note: Winter camping available by advance reservation. This is back-to-nature camping in a quiet, wooded setting near Bay and Ocean beaches. Paine's is mainly geared toward tenters, but a few trailer sites are available. Maurice's has been a favorite for campers for years, thanks to its great location near some of the best National Seashore beaches. It's also directly on the bike trail, making it easy to get around and do some sightseeing without a car. 1-bedroom cabins (no cooking facilities) and cottages (with cooking facilities) are also available for rent. Cabins may be rented on a daily or weekly basis; cottages rent by the week only. 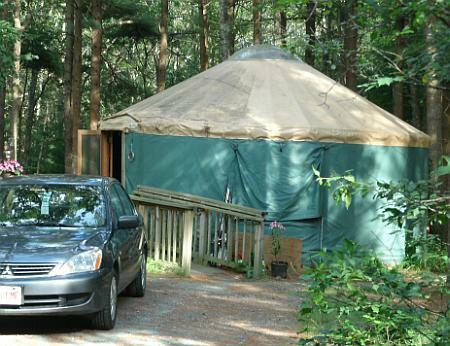 One of the most popular campgrounds on Cape Cod, right in the heart of the National Seashore. Walk or bike to beaches, nearby golf course and Highland Lighthouse. Family friendly camping in National Seashore area. 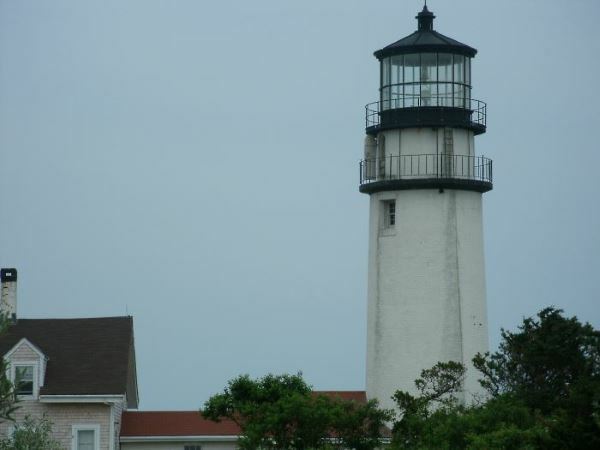 Prime sites at this campground have panoramic views of Cape Cod Bay, Highland Light and nearby Provincetown. Note: Horton's is owned and operated by Adventure Bound. If peace and quiet is what you're looking for, you'll find it at North of Highland. This tent camping area sits on 60 wooded acres, and it's only a half-mile from spectacular Head of the Meadow Beach. This pond-side campground is within walking distance to downtown Provincetown, so you won't lack for places to visit and things to do when you're in the mood. A wide variety of beaches, restaurants, shopping and attractions are all nearby. Dunes Edge offers wooded and secluded camping areas in a family friendly atmosphere. This campground is also very convenient to the beaches, fishing, whale watching, restaurants and attractions in Provincetown. Dates of operation, rates, amenities, policies, etc., may change at any time, at the campground owner/management's discretion, without notice and without my knowledge. Before making any travel plans, please be sure to contact the campground directly to confirm up-to-the-moment info.